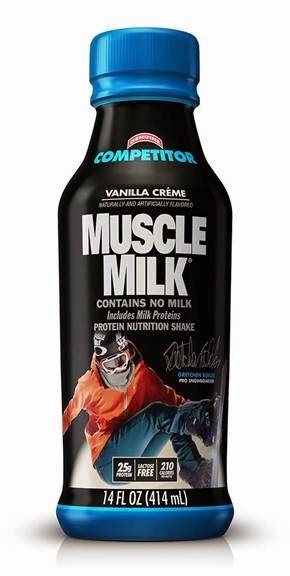 Muscle Milk has launched a limited edition bottle featuring Olympic silver medalist and snowboarding champion Gretchen Bleiler. This is the first time the company has featured a female athlete on limited edition packaging. The 14 oz. bottle can be found at retail outlets throughout Colorado through the rest of the year and is available in Vanilla Crème flavor. A portion of the proceeds from this bottle will benefit Protect Our Winters in the fight against climate change. As a female snowboarder and an environmentalist, I really appreciate this. It's great to see two great things come together :) I live in Pennsylvania and can't wait to snowboard this winter, although the weather has been SO warm!